What do wild animals do when we're not around? Find out with National Geographic's Crittercam. Safely worn by wildlife, Crittercams capture video, sound, and other information. They give us rare views of the private lives of animals, helping us to solve scientific mysteries and protect the animals that wear them. The education resources on this page invite you to explore hands-on learning with your students, and will help you bring content about animal characteristics and behavior to your classroom. 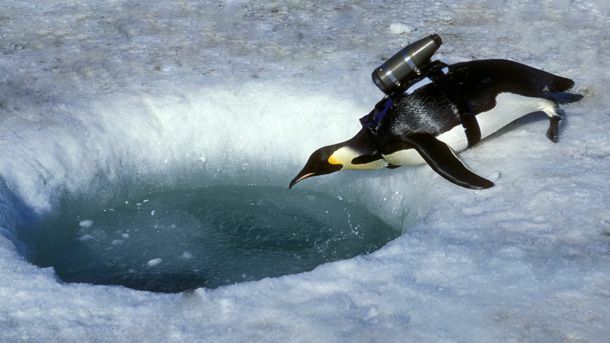 Help research biologist Dr. Tracey Rogers and National Geographic explorers locate and recover Crittercam video data from leopard seals living among the ice floes in the Antarctic. Help the Crittercam team and Dr. Laurence Frank record video data with Crittercams deployed on the lions of the high plateaus of northern Kenya. Slip into the ferocious leopard seal’s spots and experience its world from a Crittercam point of view. See the alien environment of the deep sea through the eyes of a Crittercam-outfitted sperm whale. Experience life as a bearded seal in the Arctic, where there’s more water than land, the temperature is frigid, and polar bears are always on the prowl. Kyler Abernathy was a biologist skeptical of National Geographic's Crittercam until an experience with the technology in the Northwestern Hawaiian Islands changed his mind. Abernathy, who now works with Crittercams at National Geographic, explains how the devices work and how they are attached to wild animals. Marine biologist William Gilly talks about using Crittercam to research the behavior of giant Humboldt squid.